Versatile access equipment that can be utilised in 3 different positions: straight ladder, ‘A’ frame ladder and a work platform. Work platform can be up to 1m in height to work from. 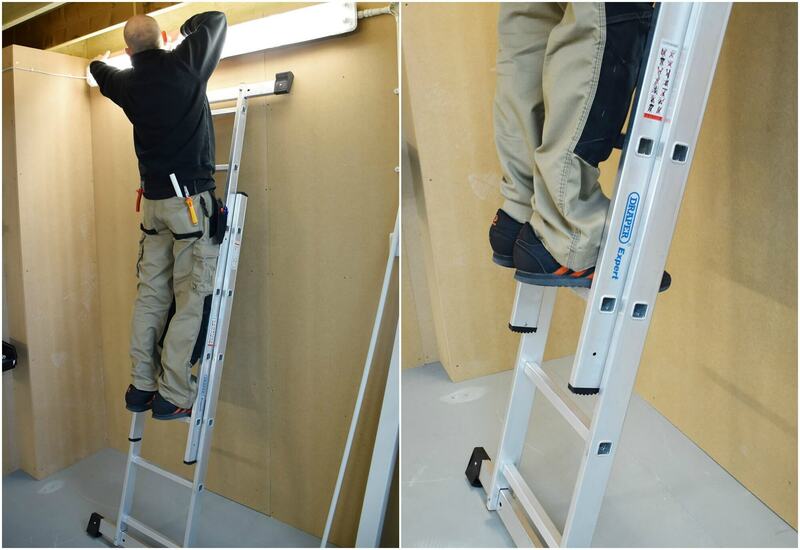 ‘A’ frame ladder height can reach up to 1.6m and the straight extension ladder 2.7m. Non-slip surface work platform and a safety barrier for stability. Complies with Work at Height Regulations and has been manufactured in accordance to EN131. 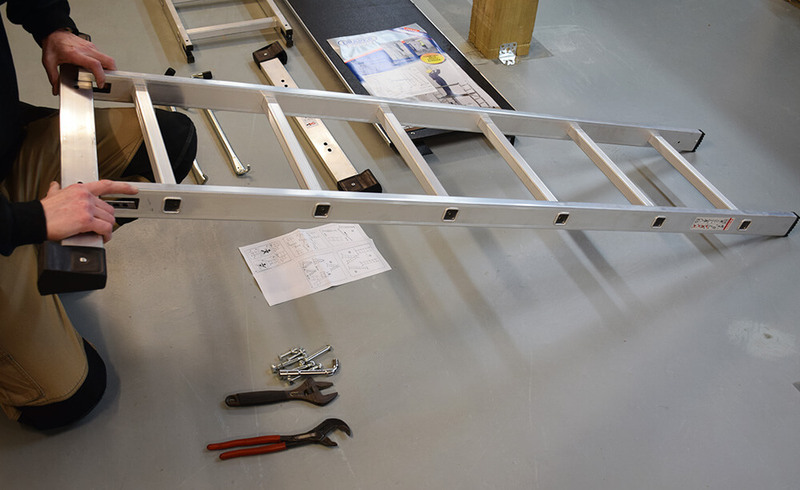 A reliable, sturdy ladder is an essential piece of access equipment for an electrician. 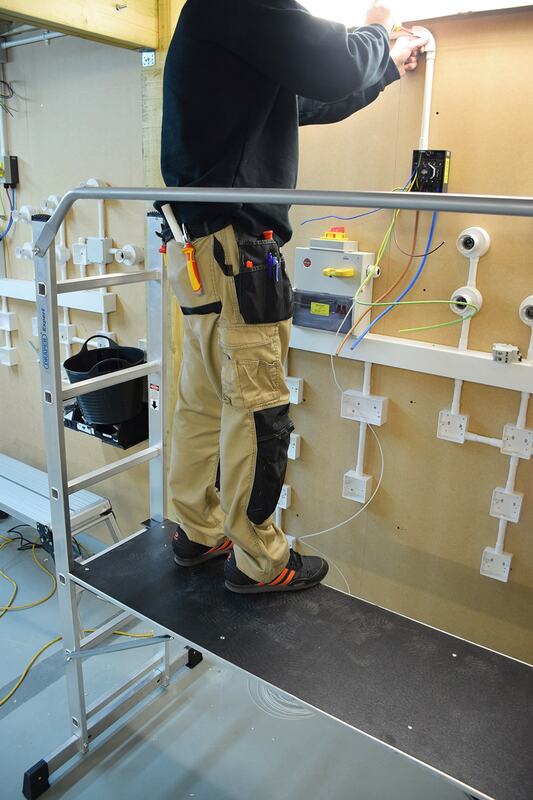 We recently put Draper Tools’ aluminium combination ladder and platform to the test in our newly renovated electrical training centre. 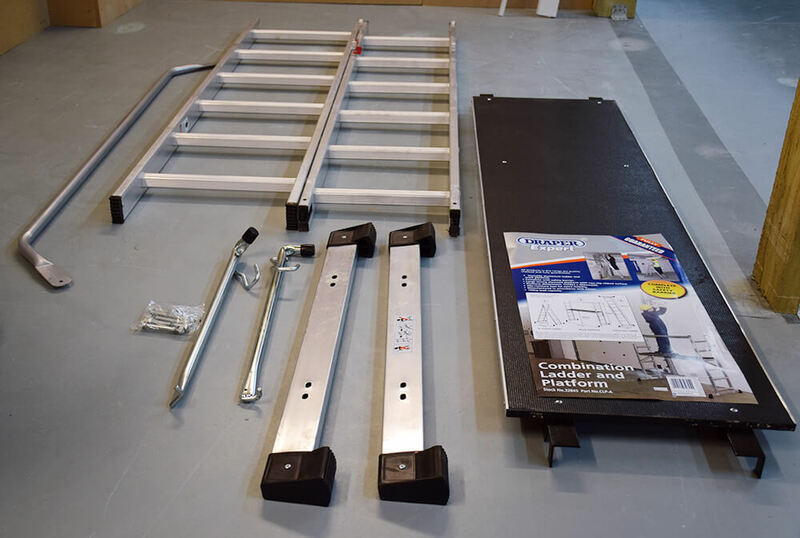 It can be used in 3 positions: straight, A frame and as a work platform, making it a versatile product for a domestic electrician. Easy to put together, with just a few pieces, it would fit into a small car or van easily due to its compact and robust nature. 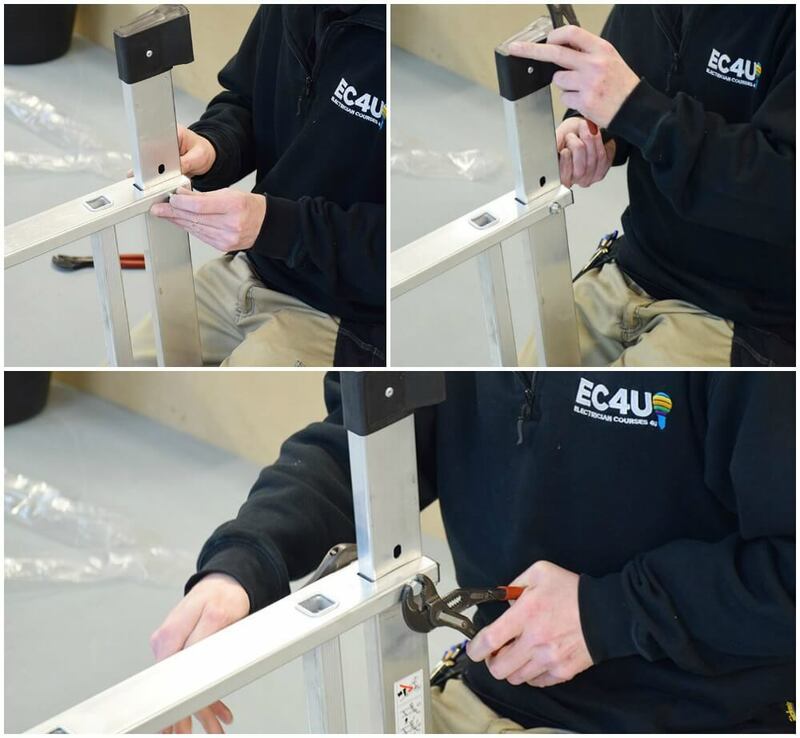 The set up of the item was very simple and easy, with safety locks ensuring a secure and solid connection to work from. The platform tower was a good stable work platform, with minimal rocking to throw you off balance. Our head electrical trainer commonly relies on Draper tools on site and in the centre to get the job done, and rates this access tower as good quality as his other Draper tools. His preferred set up for the combination product was as a platform, due to the stable working level that doesn’t limit reach. The multi-purpose item consists of a non slip plywood platform, two ladder sections and a safety barrier. When operating the platform, it’s able to go up to the 4th rung on the ladder, which equates to 1 metre in height. This is a perfect height for jobs such as setting up alarm systems and high bay lighting. We tested out the product in both our unique Experience Week centre as well as our electrical workshops. Our customers rated the product well, with the versatility and easy set up/dismantle being a major selling point for them. “It’s safe and reliable, perfect for high lighting on the job”, our head electrical trainer reports after extensive use and testing. The safety catch is another notable safety feature that puts your trust in Draper. Our only room for improvement would be for an additional curved safety barrier, when used as a platform, for stability. 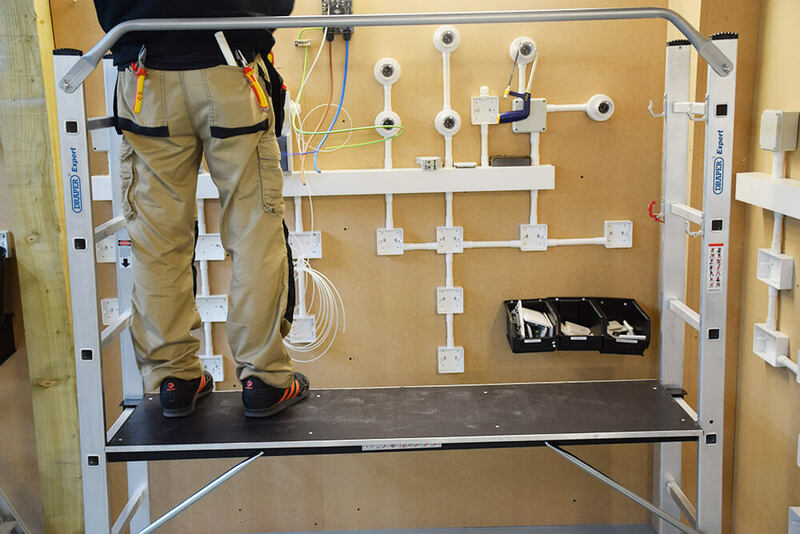 Our head electrical trainer explained that “if you’re up against a wall, the platform works great with one barrier, but in other scenarios a second safety barrier would be helpful”. 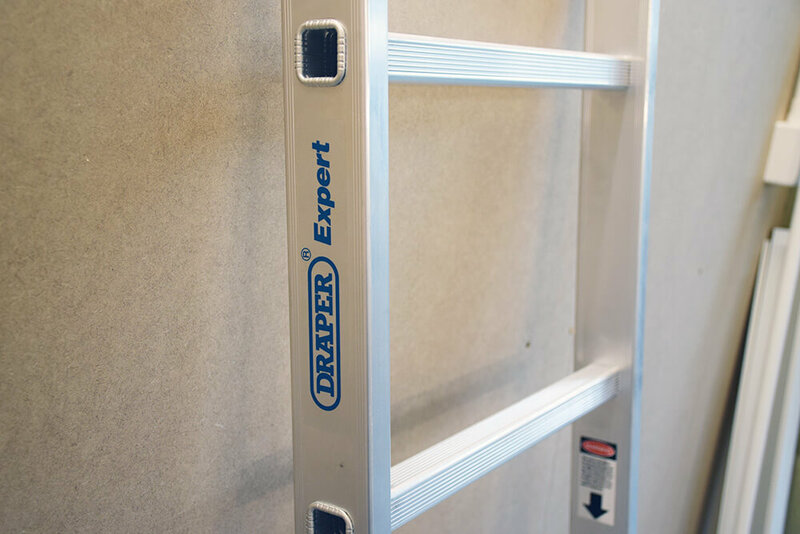 Overall, the Draper Tools combination ladder and platform comes out on top as an all round great product for domestic electricians to use on site. 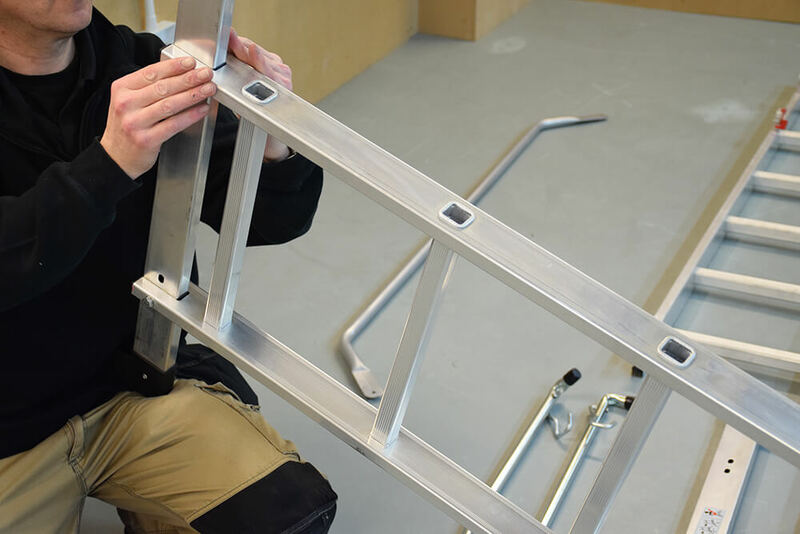 The product serves many different purposes and is well priced too, so whether you’re looking for a ladder, either straight or ‘A’ frame, or a stable platform to work from, this Draper Tools product covers you for it all! Multi-functional, easy to set up and dismantle. Compact and robust, fits into a van easily. Safety catch to secure in place. Non slip platform, up to 1 metre in height. Could benefit from an additional optional safety barrier. 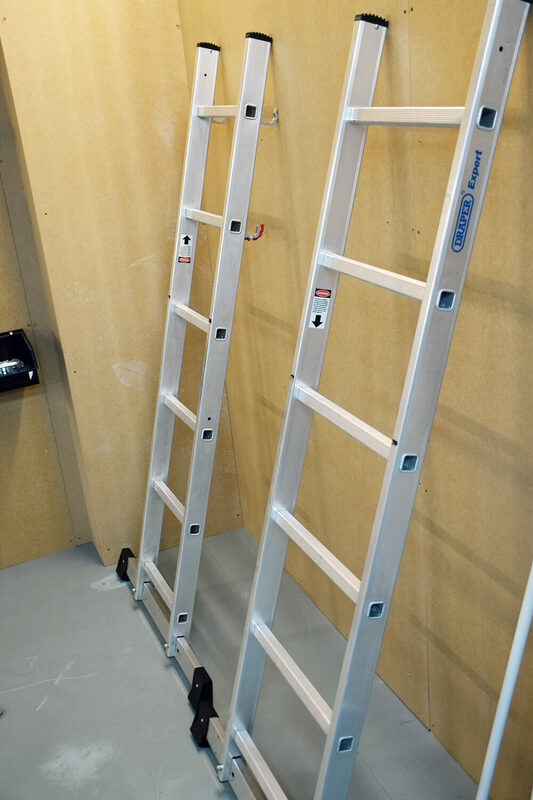 You can buy your Expert Aluminum Combination Ladder and Platform (stock no: 32845) from Draper Tools, which is currently on promotion for £161.75 (including VAT). Looking for more handy tools to have on the job? Take a look at our Lighthouse Torch review!